Your Exchange database won’t mount: your boss is counting on you to get it up and running. You’ve tried Exchange database recovery tools that didn’t work. Now you are facing a crisis situation. Is your Exchange database corrupt, offline, damaged, unmountable or sitting on a RAID array with failed drives that won’t boot to your operating system? Do you just need someone to extract PST files from your EDB store? Let’s discuss your options and find the best solution to recovering or repairing your Exchange database today. Cincinnati Data Recovery can help you meet your deadlines, please your boss and get all those users back online. Research shows that 75% of all data loss situations are the result of hardware or system failure. The smartest choice you can make: select a data recovery company that has the equipment, tools and the experience necessary to recover and repair Exchange databases from all types of failures. Our Cincinnati data recovery lab is one of the nations top 3 data recovery service providers. That’s why more Cincinnati companies choose us than any other competitor. Use the form below to get a custom exchange database recovery quote today! Is your Exchange database corrupt, offline, damaged, unmountable or sitting on a RAID array with failed drives that won’t boot to your operating system? 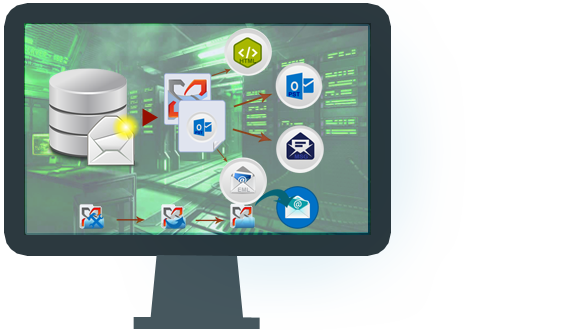 Do you just need someone to extract PST files from your EDB store? We can help!